Lincoln Lewis is about to become an eco-warrior, having signed up to be the new ambassador of Daydream Island. Born and raised in Brisbane, the Australian actor will be one of the first to explore the new Daydream Island when it opens in April 2019, with sustainability and the conservation of marine wildlife at the forefront of his island journey. As a regular visitor to the Whitsundays region, Lewis said he was excited to explore all that Daydream has to offer, including snorkelling, jet ski riding, stand-up paddle boarding and helicopter tours. 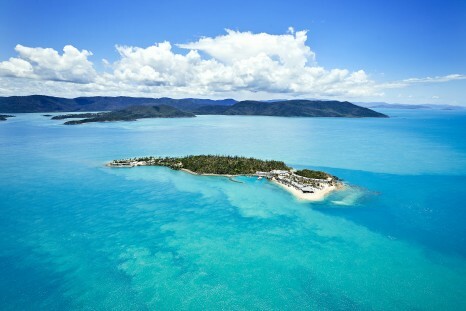 “I love everything about the ocean, so I am excited to explore Daydream Island,” he said. Lewis explained his father and NRL legend Wally Lewis has visited Daydream Island previously. “My parents have been before, and Dad first went on an end-of-season footy trip in the late 70s. Now it’s time to pass the torch and I’ll be sure to send the family photos from paradise,” he said. Lewis is a dedicated advocate for sustainability and the conservation of marine wildlife and the environment. With a soft spot for the ocean, Lewis will immerse himself with the team of resident marine biologists at Daydream Island’s Living Reef to help spread the word on marine life and reef conservation. Most well-known for his roles in Home and Away, Underbelly and House Husbands, Lewis was appointed as a Tourism Australia ambassador in 2017, leading its Aussie News Today campaign targeting youth travellers.